Quality By Design has an in-house landscape design manager who creates landscape and irrigation plans for high-end production builders. 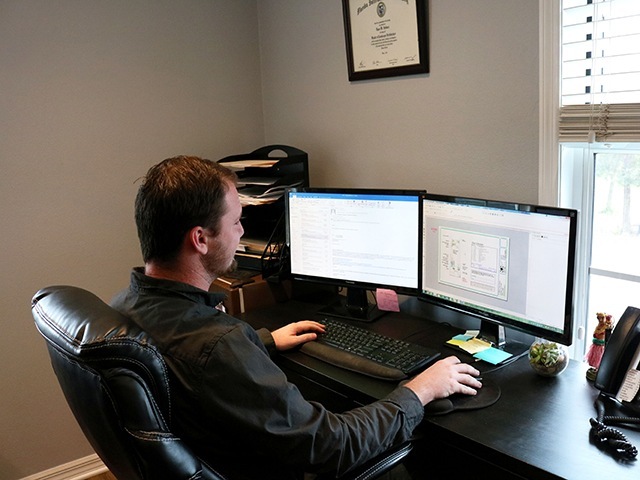 Our educated and prestigious design manager has multiple responsibilities in his position including creating plans, checking job sites, attending homeowner meetings, visiting our local tree and shrub farm for inventory and communicating with builders and homeowners about their plans. Our designers are highly creative and work to draft the best quality of work for our homeowners and builders. With their combined education and teamwork, they produce the beginning of what comes to be the highlight of every home.